Home > Academy PRO Air > Extras > Anti-Shine HD Foundation Primer 1/2oz. 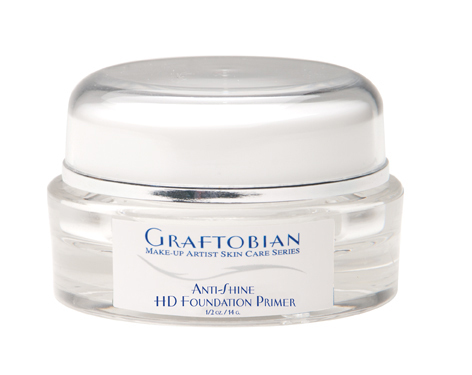 The perfect HD makeup foundation primer, especially helpful for the oiliest of skin types. Foundation primers do two things: first, they prepare the skin with a light barrier that keeps oils from degrading the makeup for several additional hours. Second, a good HD primer will give a slight, yet dry tack to the skin, that will bond to both the skin on one side and to the makeup on the other. To use: Apply this primer sparingly to a clean, dry face just prior to the application of Graftobian HD Cremes or Graftobian HD GlamAire(tm) Airbrush makeup.